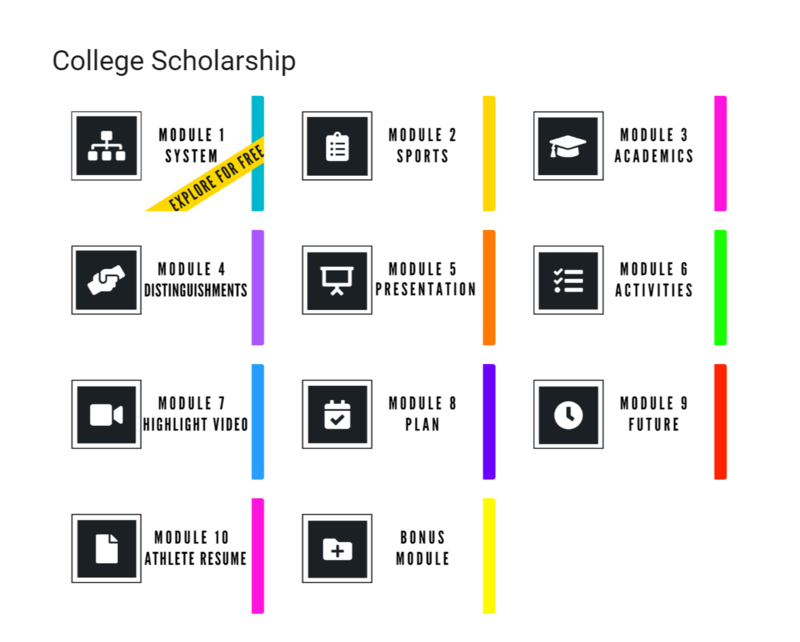 So you can earn a college scholarship. Only the top 2% of high-school age players get a full athletic ride. The rest receive partial or no scholarship aid. This should not be happening! Learn what college coaches, college boards and future employers want in today’s athlete. College Prep Program! Siblings get free access. Less than 2% of athletes get a college scholarship. Learn the process for both academics & athletics. Bonuses include Understanding the Athlete BRAND, make a Highlight Video (& update it each season), create your own Landing Page & more! This is the Total Package! 10 modules walk you through the process step-by-step. Highlight Video Package: $500 Value. The DIY Highlight Video course puts YOU in control. 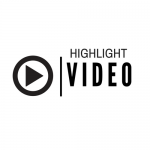 Let professional videographer Wes Wages walk you step-by-step through making a highlight video simply & easily using the smartphone in your pocket! Includes 7 lessons + it’s own bonuses in the module! College Sports are a JOB – and You are a BRAND: $125 Value. Coaches aren’t just recruiting talent, they are also recruiting good people who will represent them and the school well. We’ll teach you what they are looking for while your playing. Also so many youth today do not realize the impact of their social media images and presence on their present and future opportunities. Learn what and how colleges determine an athlete’s value and contribution to their own brand as a school. Get Preseason Fit – $29 Value. Get the guide for safe carb-cycling for high-performance athletes. 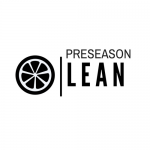 Written by Kauai-based trainer Alana Mears, learn how to drop additional weight that slows you down, kill those unhealthy & game-killing sugar cravings, boost your wind & endurance and reset your body for a more productive season. DO YOU WANT TO PLAY COLLEGE SPORTS? Strafford High has offered [this system] for the past three years to our high school students. [It is] very helpful in tracking information from year to year, and the format is easy for the students to follow. Students have commented how it makes it easy for them to keep it organized and all in one place. Each section is very useful for understanding the necessary documents and activities needed for a well-rounded and competitive high school resume. The Boys & Girls Club [of Springfield] is using [this system] in the Teen Centers in conjunction with our College and Career Readiness curriculum. 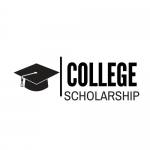 They are an invaluable resource to keep the students organized as well as well informed about what they need to do to obtain scholarships and be ready for college. [This system is] an outstanding resource for high schoolers and their families. These materials provide students and parents with information that will guide them through the college application process in a systematic manner that is chronological and straight forward. [It] helps students manage the daily and weekly preparations each student must accomplish to finalize their college applications. 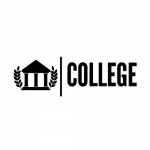 For parents/students who are beginning their college prep journey, [this system] is the perfect product needed to help collect and format any college bound student's portfolio for everything they have experienced during their high school years. However, we see the benefits beyond the basics, it's a wonderful way to teach and enhance organizational skills, provide a constant review yearly of what a student has achieved, will need to continue gathering and the convenience of everything available in an organizer vs the shoe box we used for our own years ago. My recommendation as college and scholarship prep coach is...your college prep game plan, should begin with [this program]. The college journey is going so great. I got accepted into my number one choice and confirmed my enrollment. I also was awarded $50,000 scholarship for five years for going to that college. I truly couldn't do it without the help from you and [this program] and with that I'm sincerely thankful. I was struggling with figuring out what I needed for filling in my college application and worried if I would have everything in on time. This amazing product has helped me keep everything in one place so I won’t have to rush to find the information when it’s needed. Everything happening in and outside the classroom can be all stored in one single book so when it’s time to find what you need, you know where it is. I am forever grateful I got this organizer in my hands at the right time. If you have the opportunity to buy it, don’t think twice. It is definitely worth it! I would proudly pass it on to my brother and sister if they ever consider going to college. The online course is at times overwhelming, but stick with it. All questions will be answered! [They have] done the research part for you...The time and money was worth it. Scholarships, here we come! I am always finding something new to look up on the online course. It is packed full of important information from organizing the high school years to all aspects of a college application process. This is an invaluable tool for both parents and students. I just want you to know that we are so thankful you have found you and your resources. You are truly a blessing to our family. Thank you! I’ve gained so much information to help navigate the going to college process. Thanks for all your help and sharing your passion to help us parents and students. My daughter is finishing up her 3rd year of college and still has not taken out any loans and has been able to pay for college through scholarships. This has been a blessing for our family. Our son is now successfully enrolled in his freshman year at college. He received a $25,000 scholarship renewable over 4 years. Because of your help, these things were possible. Thank you so much! Our daughter was homeschooled until 10th grade. She currently attends a private Christian School. It is a small school with no Guidance Counselor so we are trying to figure out what and when to do things. We purchased [the program] and are recreating what we should have been doing all through High school. [And it] will help with the next two younger children. I love [the] online course. Everything you can think of is right there organized and easy to find. I go back to it time and again to refresh myself on the information. [The] challenges made us take action instead of procrastinating. Once we applied for that first scholarship, it seemed so easy that we started applying for more. My daughter and I both feel so much more prepared for her Junior year and the whole college process. [The] Online Course was so great because it is broken up into smaller chunks of information that are easy to digest. If a student only has a few minutes, they can still go over a couple sections. The combination of videos and readings kept things interesting and the well-designed Class Curriculum page lets you go back and review sections or even skip around if you want. We plan on using the Online Course for each of our 5 children as they leave 8th grade and throughout all their high school years. We now have everything we need to teach them about college and scholarships in one place and that is an enormous help! Thank you for the amazing resource you have created. I first started going through [the system], and was blown away by the simple step-by-step process to get on track and stay on track. I have at my fingertips, a complete system to start and get my daughter’s records organized. With this at my disposal, I am confident that this will not be the chore I have so been dreading. We will be ready! Again, thanks for creating something for parents that is so thorough and easy to follow. As a homeschool mom with 2 high school boys, I am busy with so many educational and daily life activities. Now, I need to think about how to pay for college…agh! [This system] fits us so well. It is well organized for even the most overwhelmed parents and it is written in a concise, matter-of-fact style. I like that I can get to what I need quickly and easily understand the components of the Organizer! It is a useful tool. I wish I would have had it when my oldest was in 8th grade! Without a doubt, the training that Sydney has received from Jeremie and GFT through private individual lessons, group and camps helped her receive a scholarship by her Freshman year in high school! Not only her technical training but the insight he gives when times are hard. The input of Jeremie on our process and in training made the difference. The coaches don't know about the process & my son is in the highest league for his age! I remember when my son was 13 hearing from Jeremie that we needed to do all these things and I ended up, our family ended up in a panic, because 3 years later the process was a lot harder. It would have saved a ton of stress if we had just followed the steps he laid out THEN. Lesson learned.